Doing good is not an easy task. Learning to greet the good in each person is more difficult than judging. Anyone makes judgments right and left, at the first opportunity. On the contrary, respecting our neighbor allows us to discover it. I did not always think so. The road to understanding has been long and rugged. Accepting that life changes permanently, and that to stay in it, you have to learn to improvise, has been one of my greatest lessons. Take time Yes. And a lot of effort. The first time I had to give a helm was at twenty-three, when Mom suffered a stroke. My sister was in high school and my brother a few months away from going to study for a master's degree in the United States. 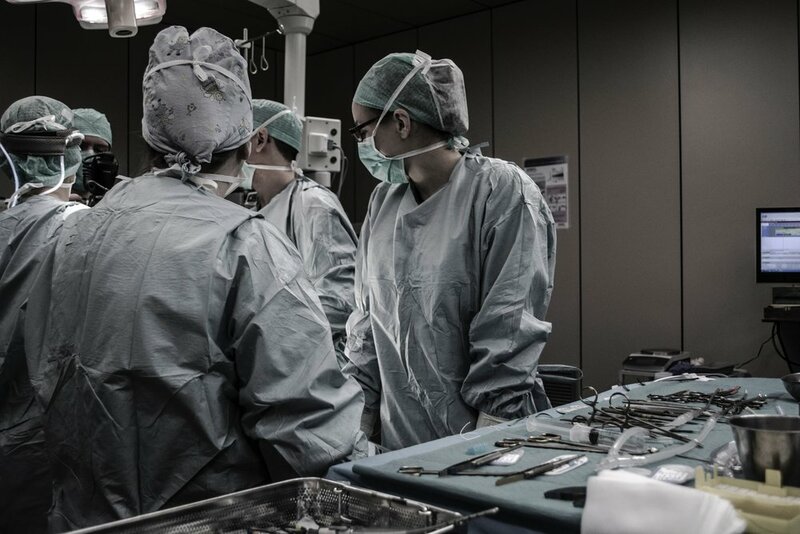 Honestly, they were the darkest and most distressing days of my youth.The immediate horror of knowing my mother in danger, in the operating room, was enough to put me on my knees. My first reaction was to pray, with all my effort, as if my own life depended on prayers. The days passed, slow, like an afternoon that little by little sinks into darkness. Mom spent a month in intensive care. Even though the surgery had been successful, it was still not out of danger. In the case of the brain, the motor of our thoughts and the impulses that allow us to move, we have to wait a long time to be sure everything is going well. The surgeon was very reserved about forecasts. A heavy shadow seemed to envelop the house, as if the wing of a raven had overshadowed the sun above our heads. Mother's absence was pronounced day after day. Nothing seemed to work, life was broken, paralyzed, and, at that moment, I decided I had to do something. I became aware of my responsibility towards my sister, my brother and my dad. I began to support them as I could in the housework. There are situations that transform our family lives, and this was one of those. What despair I felt when I realized my uselessness in the practical aspects of everyday life: organizing a home, buying the right detergent, the bathroom cleaner, keeping the kitchen, the living room, the rooms, the pantry in order and harmony, the drawers of the socks ... the list was inexhaustible and overwhelming, but I knew it was nothing compared to the effort that Mama made in that hospital bed to hold on to this life, to heal and come back to us. In hindsight, I realize that this unfortunate time was a test for each member of the family. In my case, I emerged stronger, with a sense of tempered responsibility and love. It was my initiation ritual as a woman. Today I see myself as a persevering woman. I am passionate about the things I do, my family, my nephews, my work as a director of human resources, where I must take care of both employees and the company, because, as well as at home, in the office we also end up being all one. I like to feel good, and one way to achieve this is to take care of my body, always trying not to fall into frivolity. I exercise in the gym and I am aware of my appearance. I think my legs are the sign of my physical strength, they are what I like the most about me. Spiritually alive under the scale of values that I was instilled as a child. I try to act in such a way that if I saw God in my eyes I would not feel ashamed of my actions. I pray daily for my wellbeing and that of my family, and that gives me peace, I like to feel this way and ask that those I love also live in calm, and that when we go through problems, that, we will go through unharmed. I am very far from being a perfect woman. I doubt that in the world someone is. I am intolerant, I despair, especially when I lose control of things, and, although I do not like to admit it, I get angry and easily become sad. When this happens, my body reproaches me: the stomach hurts and I feel as if the sadness or the anger grew physically inside me. It is a very uncomfortable experience with which I have had to learn to live, but, in the end, they are signs to return to find that peace that, as I said, is vital in my life. I know that I am a human being, limited, mortal, but at the same time this finite being coexists with a magical part, capable of everything. I discovered this dichotomy when mom got sick. Since then I have thought a lot about it, I do it especially at night, after my exercise routine.When I go to bed I do some reflection work to get rid of what could hurt me . I accept my limitations, I consent and celebrate my personal and work achievements; before I was very hard on myself, judging myself stubbornly and even punishing me. Now I have found that place of peace in prayer, reflection and good deeds. My nephews have been part of this long journey towards understanding my humanity, they land me and in many ways they are my great teachers. I have learned from his ability to create, imagine and play. When things have not gone well, when life seems to expand in a succession of failures and misunderstandings, playing with them is not only an injection of energy and creativity; Many times I have managed to solve problems that concern the workplace by the simple fact of sitting on the grass and contemplate casual what my nephews appreciate life. It is a task to turn to see children to learn from them and everything they do not know, their wise innocence, everything they have not realized. At forty-one I have become an improviser, I like to see myself as a woman who knows how to surf on the waves of existence. I accept the change as a constant. I like to think that life is like the game of the enchanted. There are people with the power to charm you, with good intentions, but there are also wolves that trap you, paralyze you. Fortunately there are good people who help you break the charm, friends, my sister, my brother, dad and mom, people who arrive at the right time and help you face the change. My mantra is respect focused on the understanding and discovery of human beings. I used to judge people, sometimes as much as I judged myself, until I learned with the help of a book by Marianne Williamson - one of my favorite authors - that we can greet the good person who lives in each person. It is a way to create miracles, people react with love, mercy invades us by greeting that generous being, beyond the physical aspect and social conditions. I would not be the woman that I am, if I had not faced the problems that I had to live. It would not be the daughter, the sister, the friend, the human being who writes these lines, if I had not learned from my father and mother, from my teachers, from my friends and my nephews to do the right thing with spontaneity and love. Doing good is not an easy task, it is hard work every day.